The New York skyline will never be the same again if the daring new skyscraper by architectural firm Oiio ever gets off the ground. It’s a building which breaks with every known architectural concept—a U-shaped skyscraper. If it’s built, it will be the longest building in the world, longer even than Dubai’s Burj Khalifa. 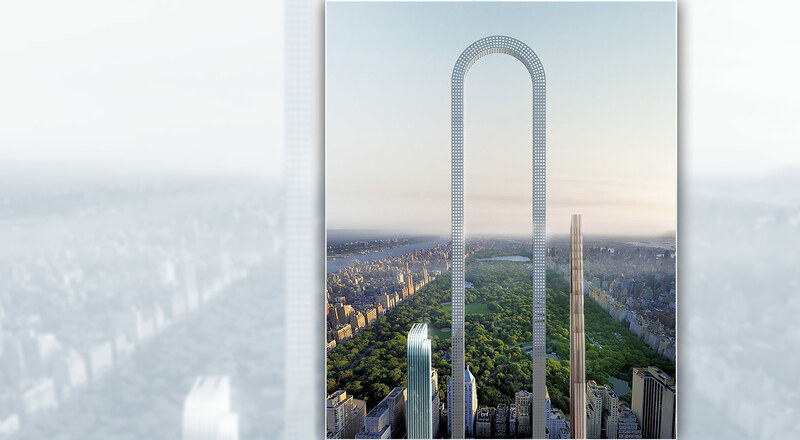 It would stand 1,219 metres tall and it’s already been dubbed the Big Bend. Its planned location is Manhattan, New York. One of the most innovative features of the project is its system of lifts specially designed to negotiate the bend at the summit of the building, giving access to every part of the skyscraper. For the moment, the Big Bend is still at the design phase, but the drawings have already been sent out to potential investors. It isn’t yet known whether this incredible structure will ever be built, but it’s already leaving people speechless.